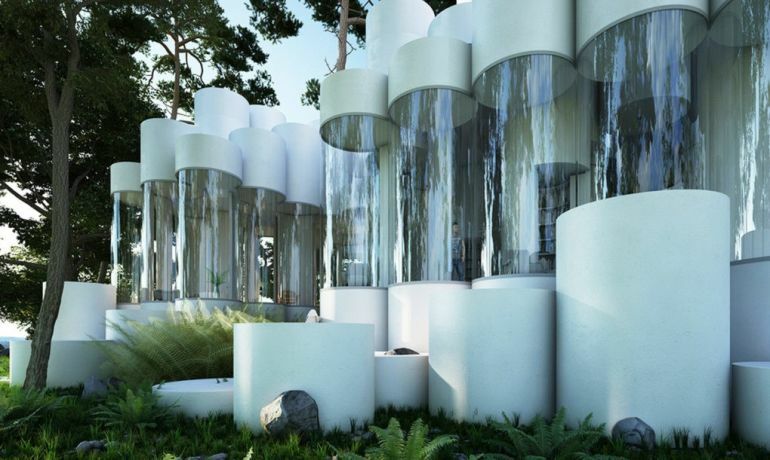 A volume based on a cylinder – this notion is pretty rare when it comes to the field of architecture. 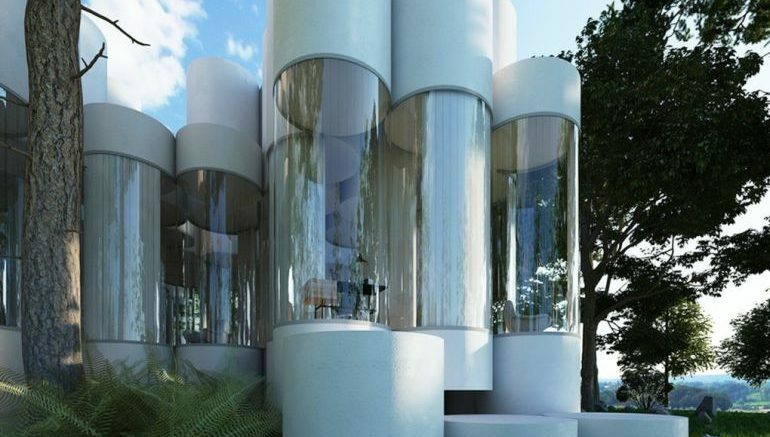 However the creative firm Town and Concrete has envisaged an entire residential structure (to be constructed in 2019) based upon modular cylindrical spaces that would encompass around a substantial 3,000 sq ft area. 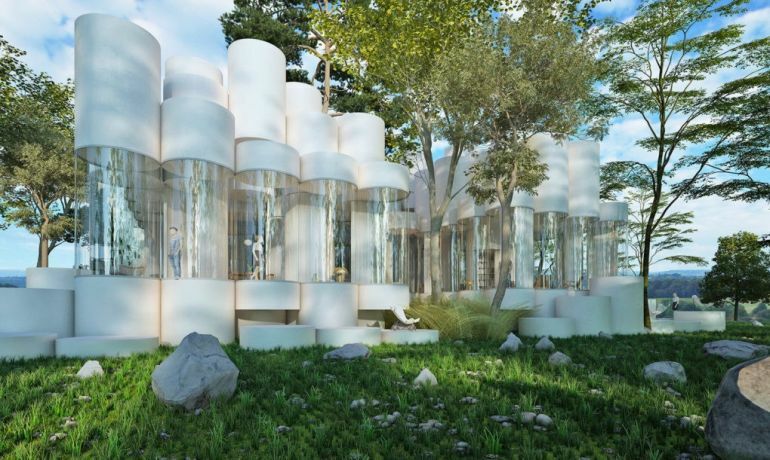 For this house, the plan is based on a juxtaposition of a simple element, a cylinder. This cylinder can be opened, semi-open, closed, whatever its disposition it participates in the delimitation of space. It is an open plan, with the cylinder pieces as posts. There is a play of height offset on the cylinders to also provide a delimitation by the height of the ceilings. To that end, the undulating forms make it clear that these modular cylinder spaces totally eschew the need for corridors and even spaces defined by physical thresholds. In other words, the modular nature of the cylinders allows the particular spatial element to be open, semi-open or even closed – in accordance with the preference of the user. 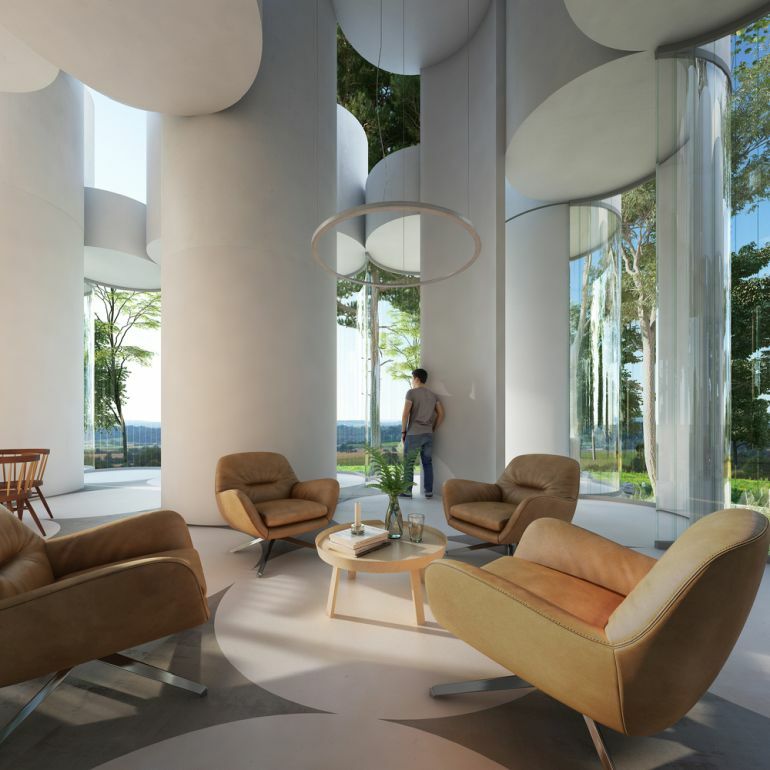 And lastly, the absence of traditional internal walls coupled with transparent glass facades, translates to a more intimate connection with the surrounding. This setup is particularly significant in this case with the natural woods that form the proximate landscape beside the Cylinder House. 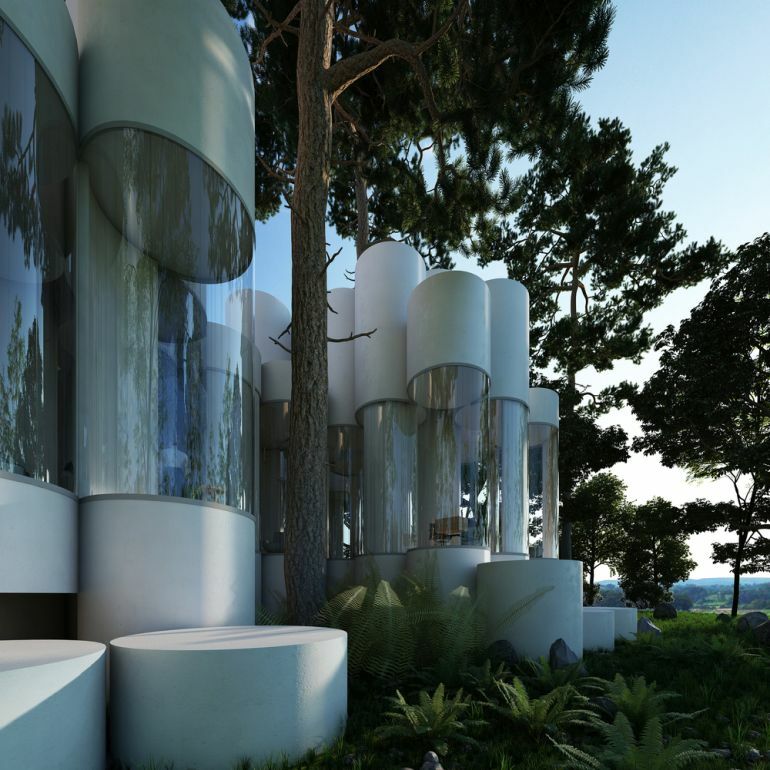 1 Comment on "The Cylinder House is built ‘around’ the trees for spatial efficiency"
I have been here… awesome place.